Let's get two things straight. 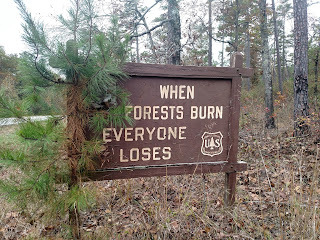 First, “ecosystems are fire dependent.” Well, most of them. Prairies, savannas, woodlands, forests—all except the swamps of the southeast or the rainforests of the northwest. Second, “historically fires had been anthropogenic (a fancy word for man-made).” Well usually, except sometimes out west where there's lightning without rain. Joe Woolbright, chairman of the Arkansas Natural Heritage Commission and founder of Ozark Ecological Restoration Inc., stressed these points repeatedly during the few days we met, once while lecturing a biology class at Northwest Arkansas Community College that was hoping to restore fire to the campus' natural area, and again when recommending a restoration site for me to visit. 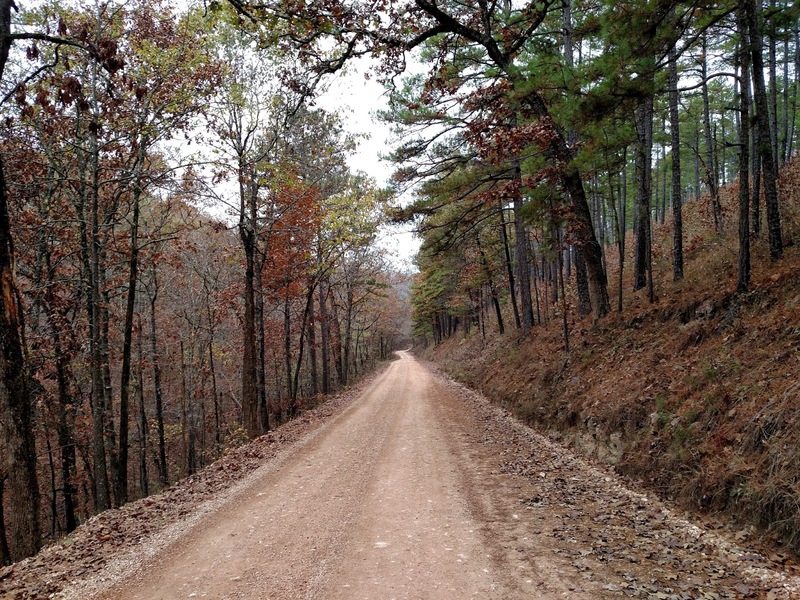 Gene Rush Wildlife Management Area (GRWMA) is the “best managed forest in the Ozarks,” according to Joe. 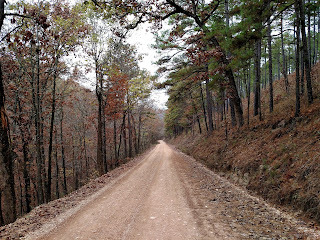 It's 20,000 acres of oak/pine forest along the Buffalo National River. 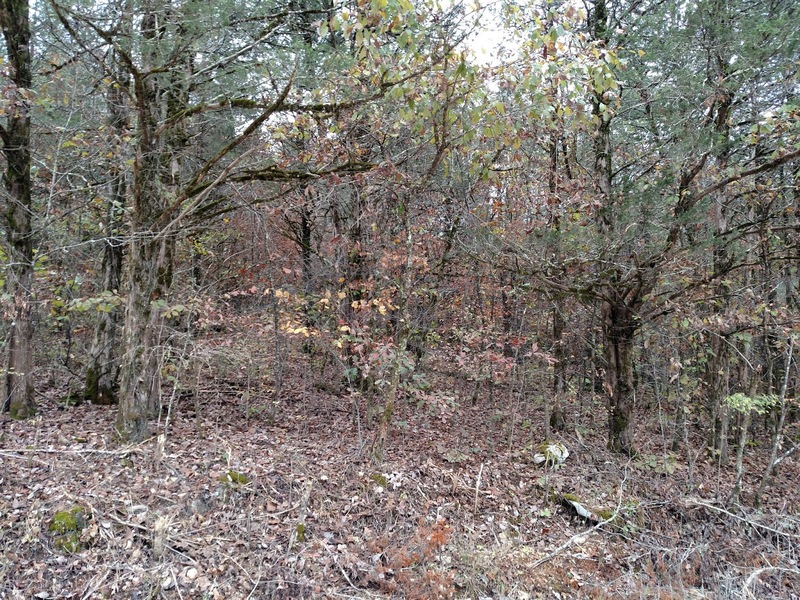 “It's what the Ozarks used to look like,” before European-American settlement, before logging and fire suppression. 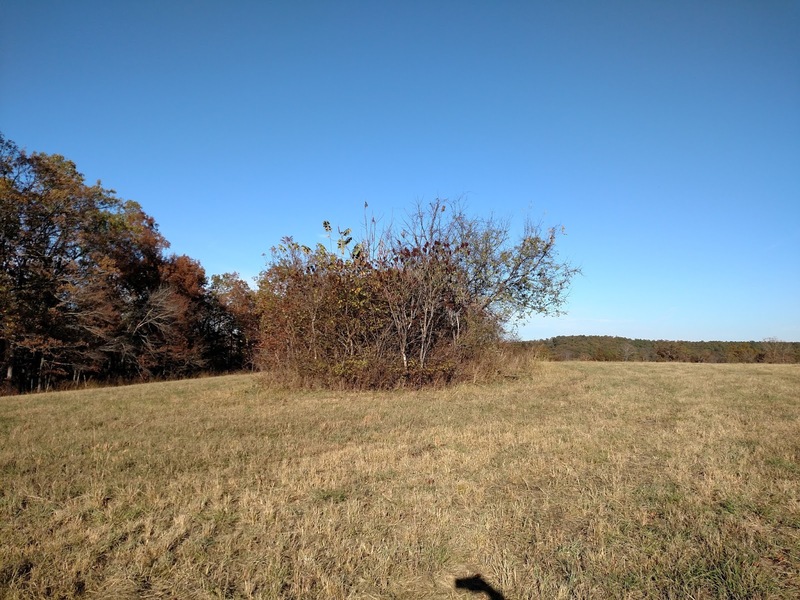 In the past 20 years or so the Arkansas Fish and Game Commission (AFGC), stewards of the GRWMA, were restoring its historic conditions, including its disturbances. They were burning it. So I headed across the beautiful Ozark plateau to Gene Rush to better understand the history of fire suppression and its reintroduction. 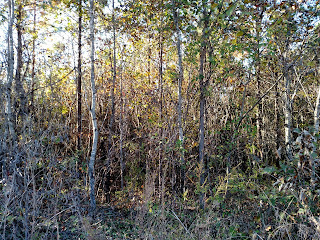 I also wanted to compare the two, a burned vs unburned forest. Which would have more ecosystem health and diversity? 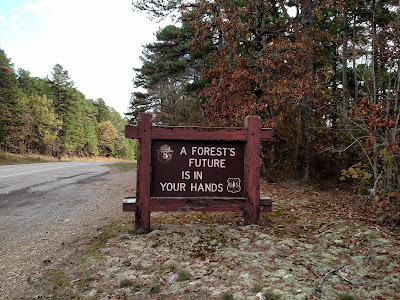 More recreation and timber value? More beauty? The second scenes of each set are restored with fire. 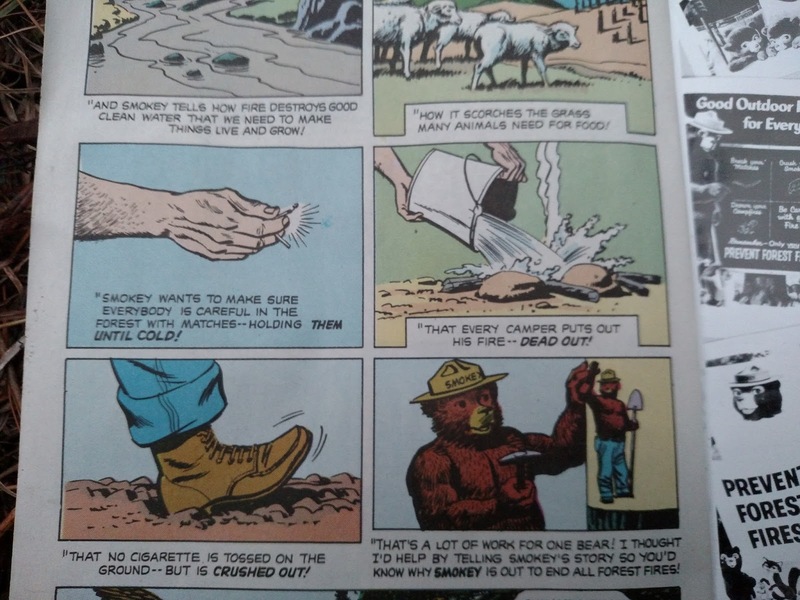 The first ones still suffer from what Joe calls "Smokey Bear Syndrome," as well as other historical conditions. Remember kids, smoke and litter responsibly. The above Smokey Bear comic was first published in the 1960's. 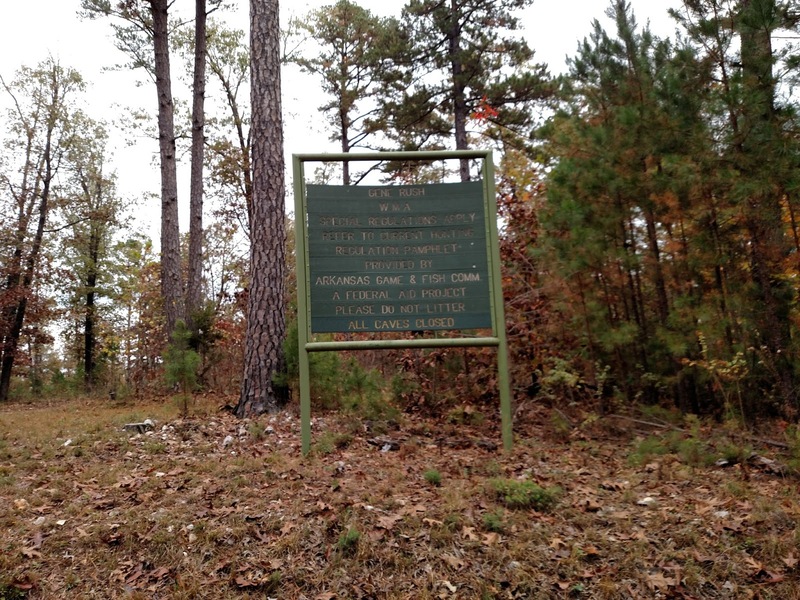 I picked up this copy at the Ouachita Ranger Station in 2015. The sign below must also be a relic. 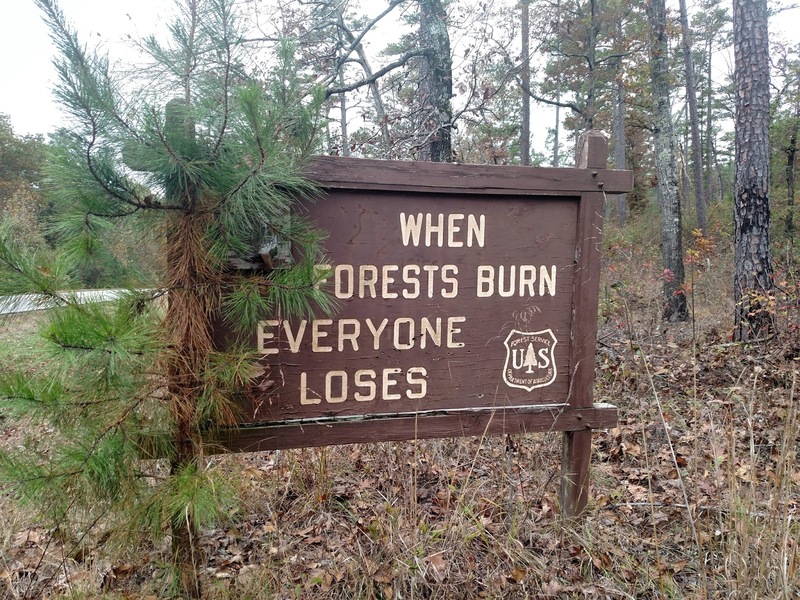 "When no forests burn..." it meant to say. Species composition. 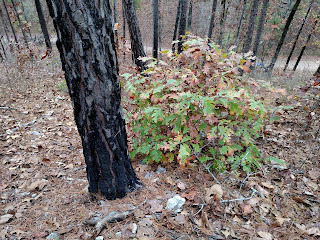 Fire tolerant species (e.g. oaks and pine) are gradually replaced by fast-growing species (e.g. 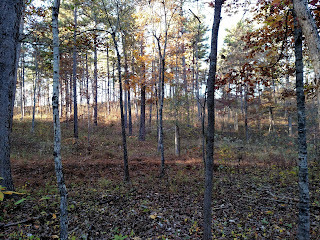 maples and cedars). Biodiversity. 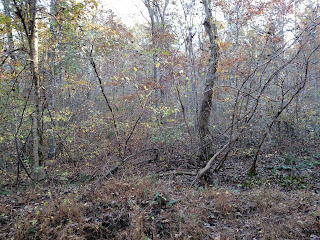 Herbaceous understory is lost along with habitat and food for wildlife. 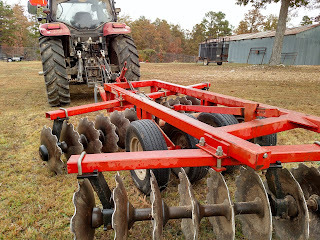 Disease resistance. 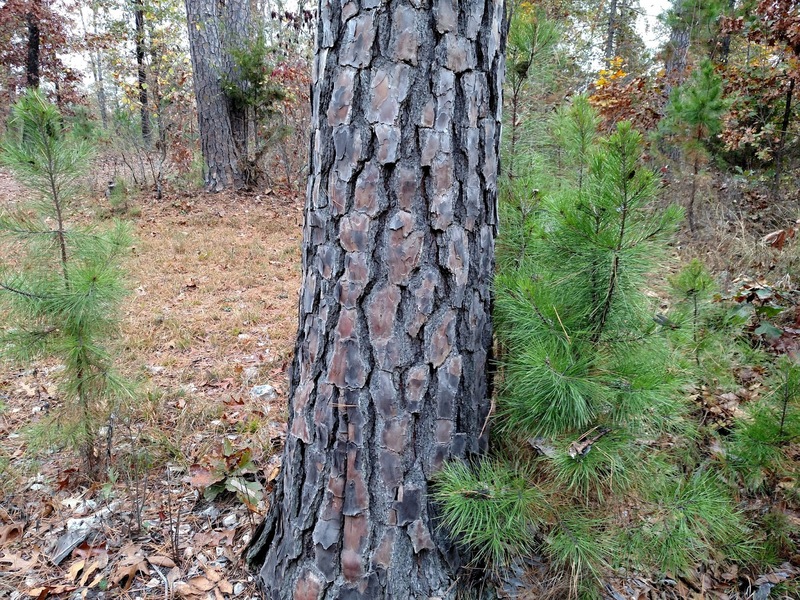 Weakened by competition, oaks are more susceptible epidemics such as sudden oak death and red oak borer. Microclimate. Increased shade and windbreaks means increased moisture, which could mean a cascade of effects we could hardly begin to understand. One documented example is the increase in snails, which carry brain worms, which wiped out reintroduced elk populations in the 50's, according to a 1991 study. Controlled by a 15-18 man teams and 2-3 mile long firelines. Red-cockaded woodpecker – The population increased from 32 in 1990 to 155 in 2012 at Ouachita National Forest. Breeding Birds – A 1995 study tracked population numbers in the first year following a burn. Ten species increased significantly, 27 increased insignificantly, and 10 species decreased insignificantly. Some in the last category increased after the second or third years. Mammals – A 1998 study found increases in all small mammal species, with none decreasing. Deer forage was 6 to 7 times higher. Other animals – A 2004 study showed increases in reptile and amphibian populations. Moth and butterfly populations, including the SGCN Diana fritillary, increased significantly due to increased nectar sources. 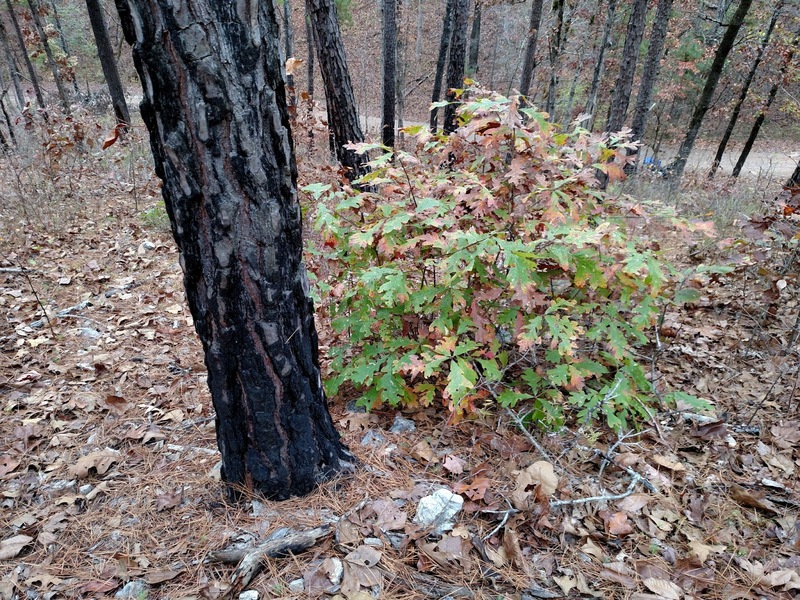 Vegetation – A 1998 study found 150 herbaceous species in burned areas that we generally absent from unburned areas. 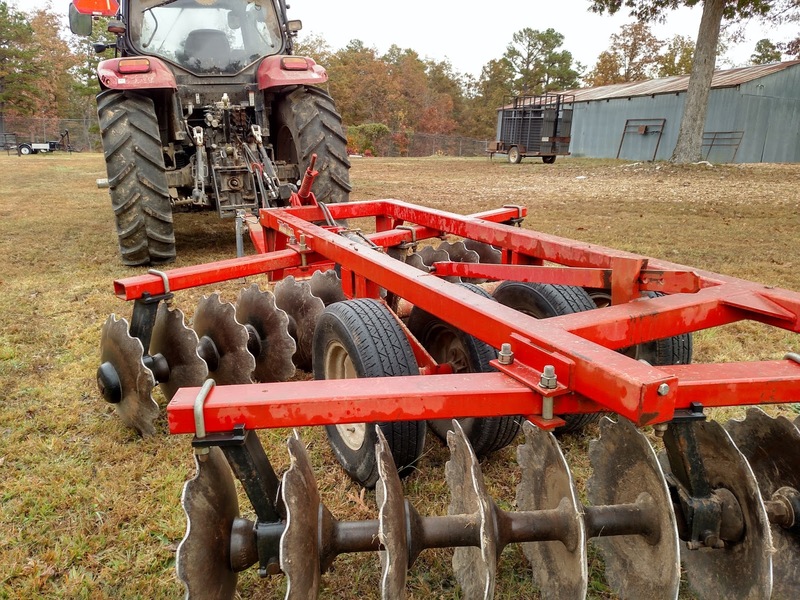 These included 40 species of native legumes, which fix nitrogen and provide wildlife forage. According to Joe, the average 10x10ft sample plot at an ANHC prairie increased from 7 species to 37 species following a burn. 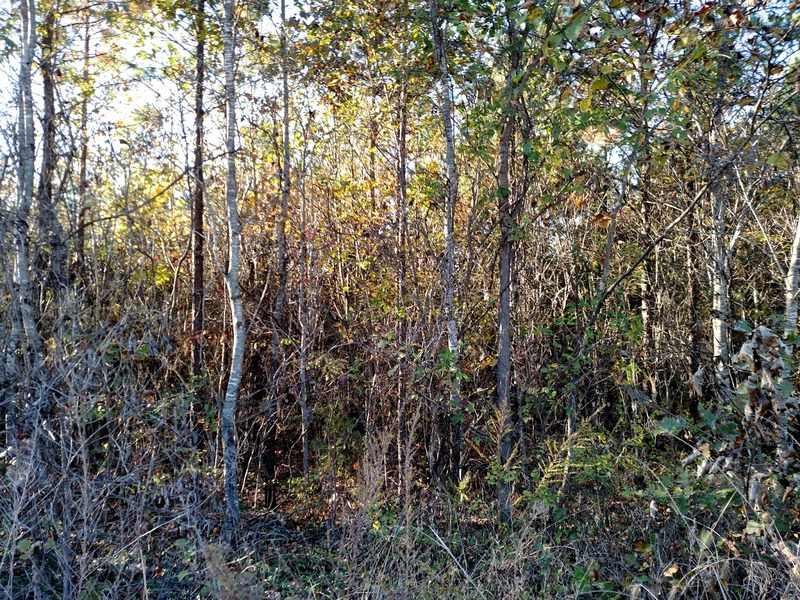 Soil Nutrients – A 2005 study found increased N, C, Ca in soils and significantly increased N, P and K in foliage after two decades of periodic burns. 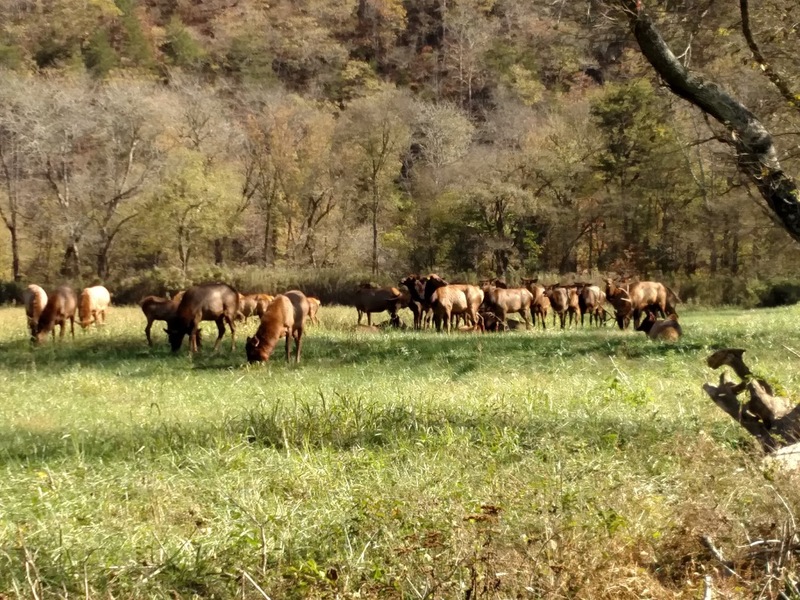 The reintroduction of elk seems to be succeeding thanks to the open, drier conditions. The AFGC also maintains “food plots,” or grassy hilltops for elk to graze. 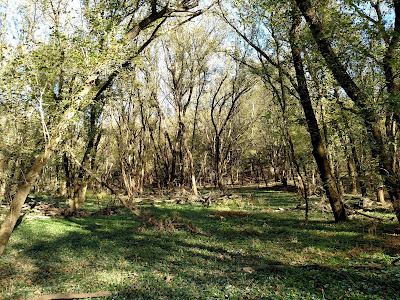 Below is a riparian forest at GRWMA. 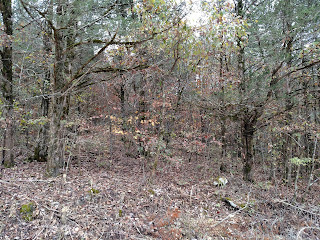 This forest also has an open, clear understory. Except here fire isn't the disturbance; floods maintain this canopy of flood-tolerant box elders. As we've seen, healthy forests are ones with fewer, larger trees and space for an understory and wildlife. So that's how we'll restore them, because that's how they're meant to be: the way they evolved, the way their inhabitants have evolved along with them. Perhaps that's how we have evolved as well. Perhaps that's why our brains have evolved to perceive ecosystem health—a perception we call "beauty." R. F. Raskevitz, et. 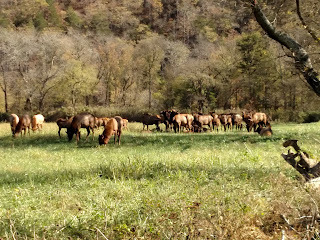 al., "Gastropod availability and habitat utilization by wapiti and white-tailed deer sympatric on range enzootic for meningeal worm," Journal of Wildlife Diseases. 27 (1): 92-101. Christopher Wilson, et. 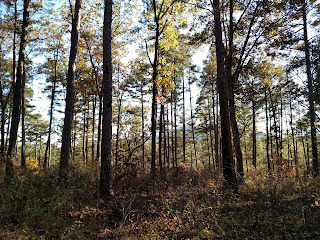 al., “Breeding Bird Response to Pine-grassland Community Restoration,” Journal of Wildlife Management, 59 (1995): 56-67. Ronald Masters, et. 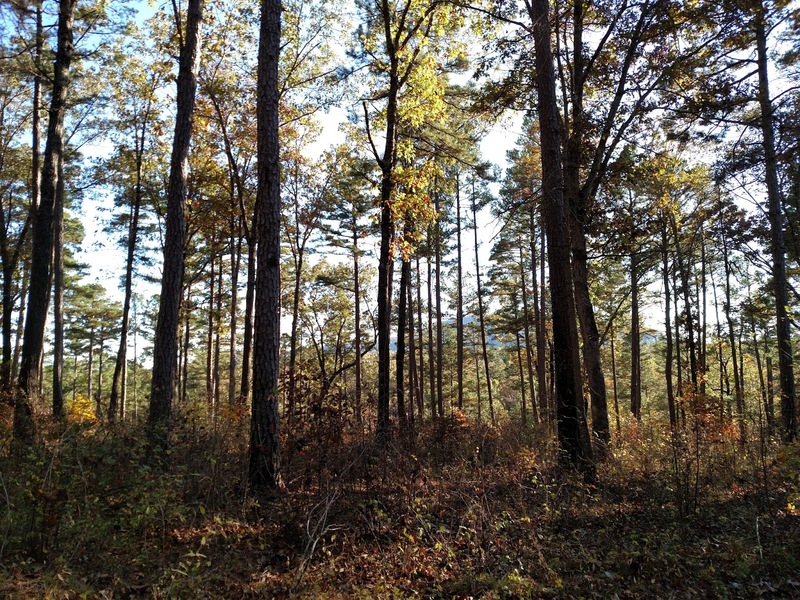 al., “Small Mammal Response to Pine-grassland Restoration,” Wildlife Society Bulletin, 26 (1998): 148-158. Ronald Masters, et. 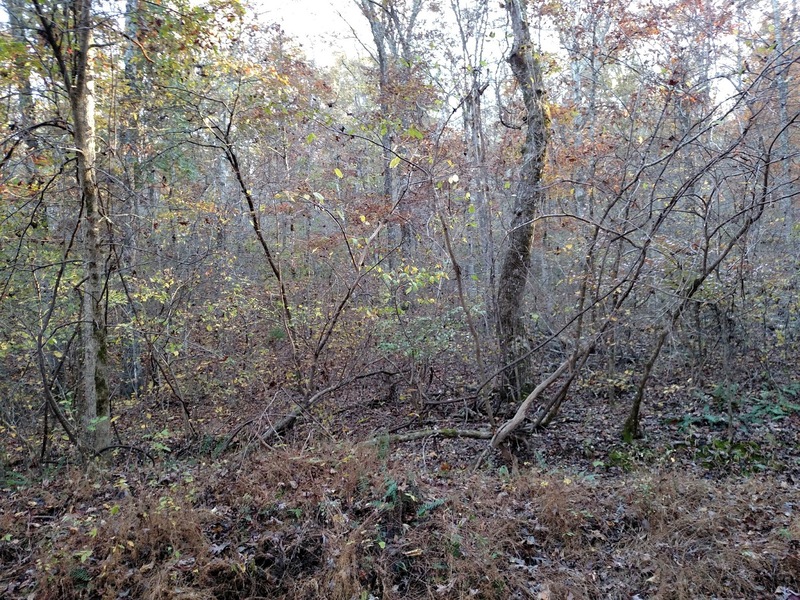 al., “Effects of Pine-grassland Restoration on White-tailed Deer Forage Production,” 24 (1996): 77-84. Jeffrey Sparks, et. 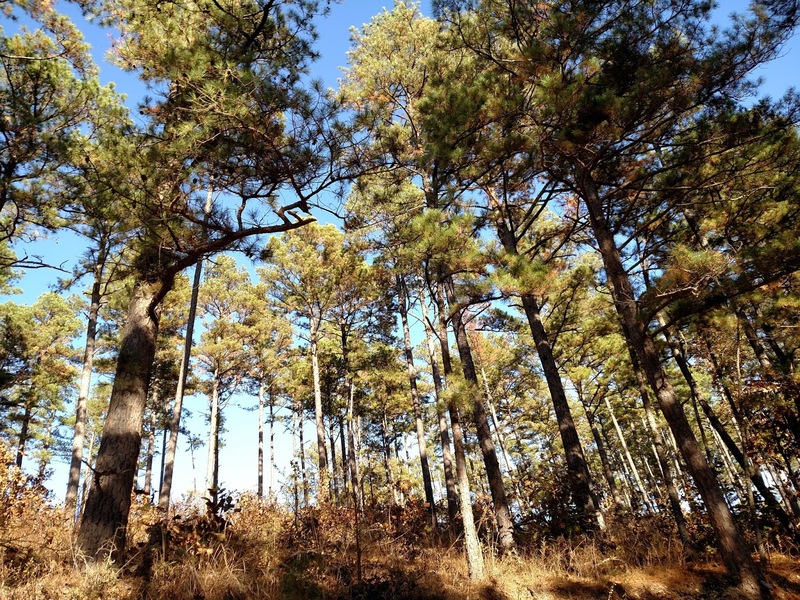 al., “Effects of Prescribed fire on Herbaceous Vegetation in Restored Pine-grassland Communities,” 9 (1998): 133-142. H.O. Lietchy, et. al., “Soil Chemistry and Nutrient Regimes Following 17-21 Years of Shortleaf Pine-Bluestem Restoration in the Ouachita Mountains of Arkansas,” Forest Ecology and Managment, 204 (2005): 345-357.